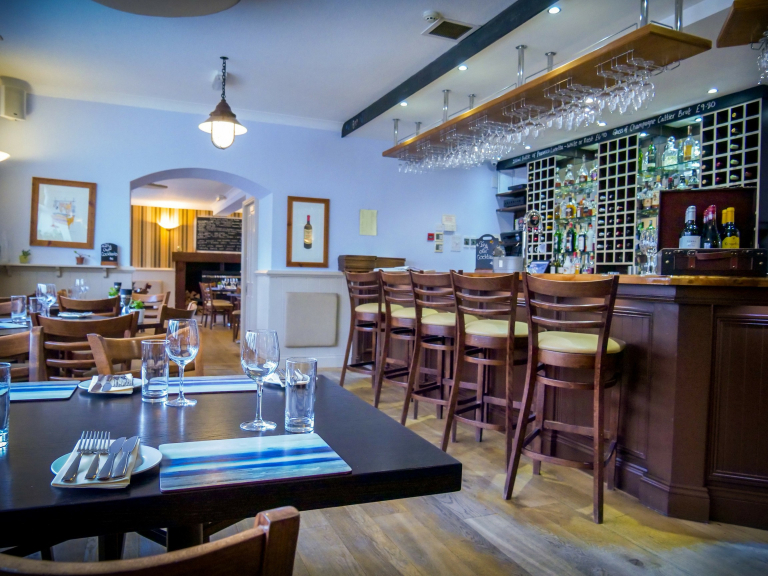 The Bass and Lobster serves the finest seafood in Jersey with a relaxing ambience and the level of professionalism you would expect from the staff of a high quality restaurant. 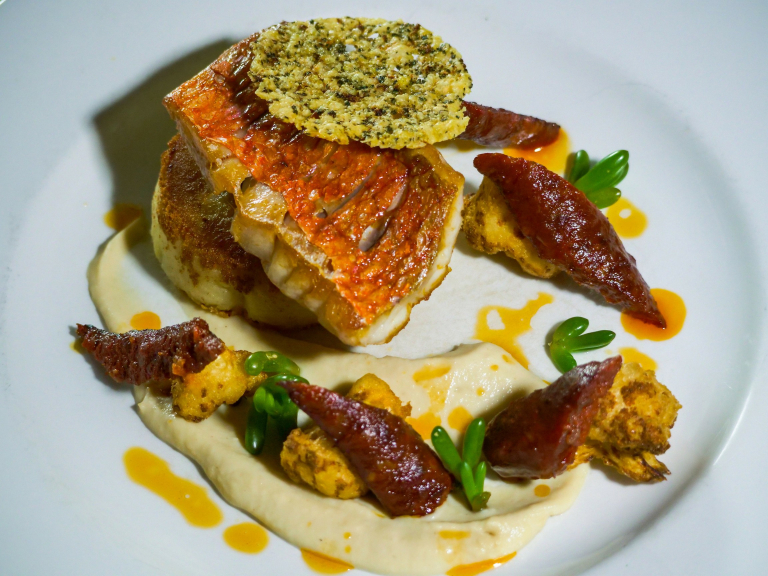 The Bass and Lobster at Gorey is one of Jersey's finest restaurants, serving dishes made from locally sourced and caught seafood and other local produce. Dine with elegance and style, at a price that will surprise with its good value, on the finest food that will certainly linger in the memory, at The Bass and Lobster. 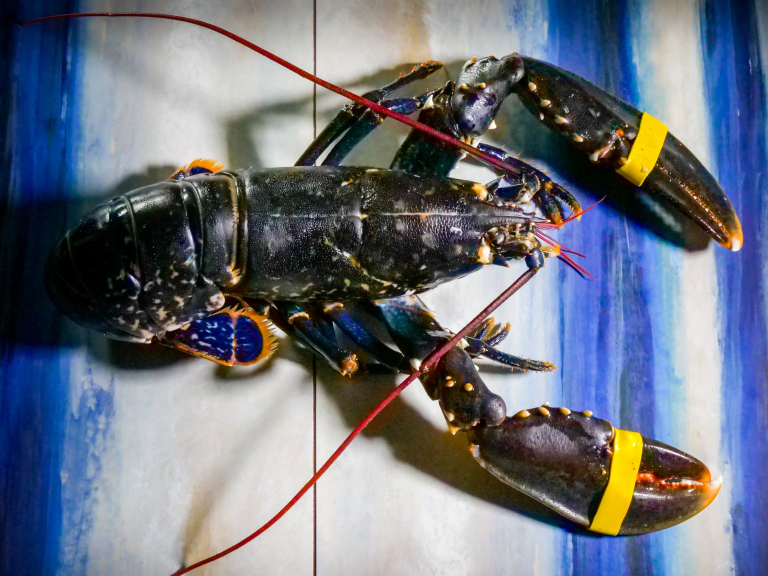 "The Bass and Lobster, The Best of Local"
The Bass and Lobster restaurant is situated on the seafront at beautiful Gorey, within sight of historic Mont Orgueil Castle. The view of the sea and coast is as beautiful as the food and it really is the perfect site for a seafood restaurant. If you are using public transport then the number 1 bus to Gorey, which runs every 30 minutes, will stop right outside The Bass and Lobster restaurant. Several other bus routes that go through Gorey stop here as well. Don't just take our word for it - The Bass and Lobster restaurant is recommended by Michelin and other pub guides, plus all those great recommendations on Facebook from the locals. The dedicated chefs love to use local produce to create their amazing dishes in house. There is common consensus that The Bass and Lobster restaurant is a great place to eat out! 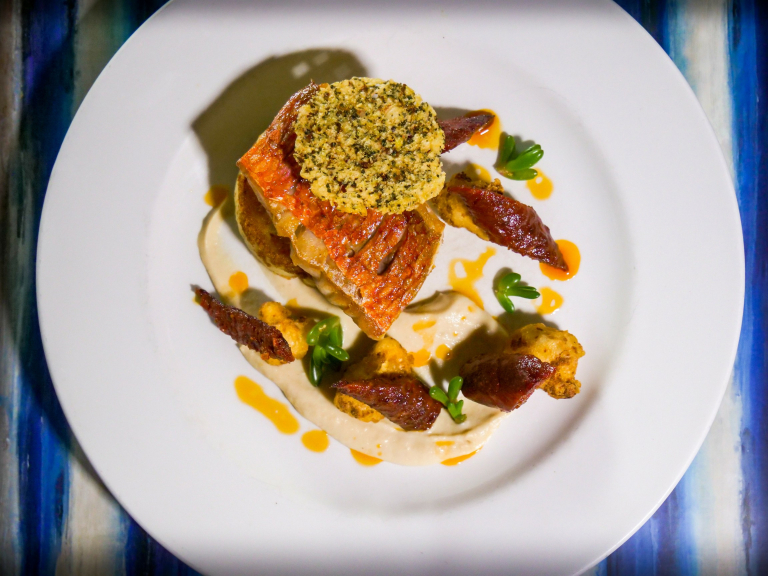 The Bass and Lobster is best known for serving locally sourced seafood of the finest quality. While specialising in seafood there is still plenty to sample from the broad menu if you are not keen on fish or shellfish. The set menu consists of classics such as locally caught fish and chips and their famous homemade sausages along with culinary delights such as lobster ravioli, tempura Jersey oysters and local line caught sea bass. They have a great selection of meats as well including rack of salt marsh lamb and Scottish venison saddle. The delicious desserts feature chocolate brownie with hazelnut ice cream, apple and winterberry crumble, or a choice of ice creams and sorbets from our extensive range of over 30 flavours. The full a la carte menu has a wide range of dishes and all of the menus can be viewed in the downloads section of the sidebar. On Sundays we serve a traditional roast dinner. While adults love the great food, don't worry, younger diners are also catered for. 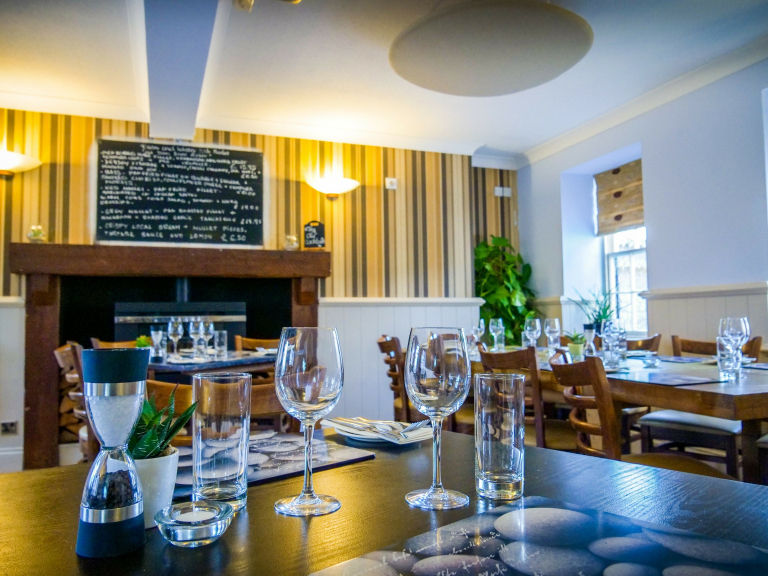 The Bass and Lobster is also great as a venue for groups or parties, so feel free to phone up or pop in to discuss your requirements when booking your reservation. Open Tuesday to Saturday for both lunch and dinner times, serving from 12.00pm until 2.00pm at lunchtime, and serving from 6.00pm until 9.00pm in the evening for dinner. Sunday for lunch from 12.00 until 2.00pm, closed in the evening.